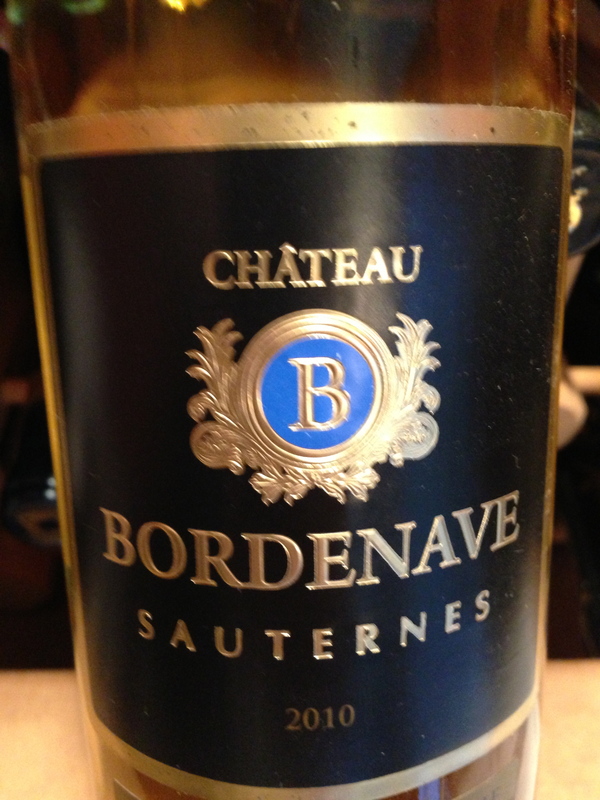 A dessert style wine from Bordeaux that is golden yellow in the glass. On the nose, apricots and golden apples that move onto the palate with some honey and a touch of acidic bite. Generally decent wine, but the tinge in the mid-palate was worrisome. The wine was not overly sweet, but had a balanced residual sugar content. Dessert wines are generally pricier due to the methods involved, yet I cannot remember how much I paid for this bottle. 85 points and if it was under $20, 3 stars.